Employers added 217,000 jobs in May, leading the labor market to the milestone of recovering all the jobs lost at the depths of the Great Recession. 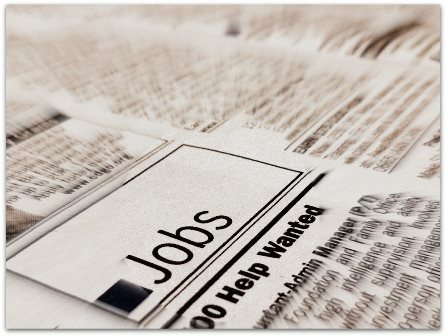 The unemployment rate, meanwhile, remained flat at 6.3%, the U.S. Labor Department reported Friday. Both figures were in line with consensus forecasts of a 220,000 gain and an unchanged rate. It's been a slow, painful, four-year grind recouping the 8.7 million jobs shed over 2007-2009. And, while the milestone is significant, U.S. employment is still well below where it should be after taking into account population growth and the labor force since the recession. Indeed, the closely watched labor force participation rate, an important measure for the overall health of the economy, remained stuck at an unhealthy 62.8% last month. The rate has been floundering for months at lows not seen since the late 1970s. It's a sure sign that an increasing number of discouraged Americans have simply given up searching for jobs amid a very difficult job environment and have entirely dropped out of the work force. Moreover, the economy still needs some 7 million more jobs to return to a healthy jobs growth pace, according to the Economic Policy Institute. This ongoing jobs recovery has been the most lengthy jobs recovery since 1939, when the Bureau of Labor Statistics began tracking jobs data. Economists surveyed by CNN Money expect it will take two to three more years for the United States to return to "full employment" of around 5.5%. "The good news is the economy grew fast enough in May to absorb new labor force entrants," Steven Pressman, professor of economics and finance at Monmouth University in West Long Branch, N.J., told Money Morning. "The bad news is that we still have to make up for a half dozen years of recession and slow growth. Over time, the economy has not created enough jobs for normal labor force growth, as reflected in labor force participation numbers. While labor force participation remained steady in May at 62.8%, it's still well below the 66% pre-recession level." So what does this mean for the Fed's bond-buying program?